To protect individual privacy, some iPhone users may choose to delete their phone call history from time to time. But what if you accidentally deleted some recent calls before you realized they were quite important for you? Probably you will wonder if there is any way to get them back. Here are some methods to help you retrieve deleted call logs on iPhone X/8/8 Plus/7+/7/6/6+/6s(plus)/SE/5s/5/4s/4/3GS. Generally there are two main tricks for iPhone call history recovery: one is to recover call history directly from iPhone device; the other is to retrieve from the backup that you made before. If you don’t have backup files, your best choice is to use the professional iPhone Call History Recovery Software – Gihosoft iPhone Data Recovery, which can help you retrieve deleted call logs on iPhone whether you have backup or not. Step 1: Install and run iPhone Call Log Recovery software, then select “Call History” shown in the interface. Step 2: Connect your iPhone to the computer and begin to scan for call history directly from the device. Step 3: Preview and selectively choose call logs you need, and then click the “Recover” button to recover deleted recent calls on iPhone. Apple offers backup service for iOS users by using iTunes. Although you have an iTunes backup, it’s hard to know whether the backup file contains the call logs you need. 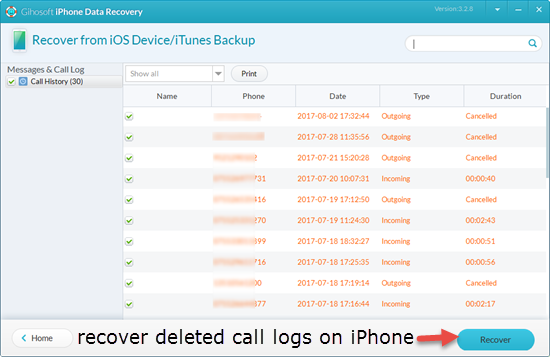 Luckily, Gihosoft iPhone Call History Recovery software also allows you to view and extract call logs from iTunes backup. Open the iPhone Call History Recovery tool. Ensure the Call history is checked, next click on “View iTunes Backup” and select the latest backup to scan for call history. After scanning, you can recover and export the deleted call history onto computer so that you can print it out. Or you can restore all calls from iTunes backup to your iPhone. iCloud is another way for you to backup iPhone as long as wireless network is available. However, before you restore iPhone with an iCloud backup, it is better for you to check whether the deleted recent calls are contained in the backup. 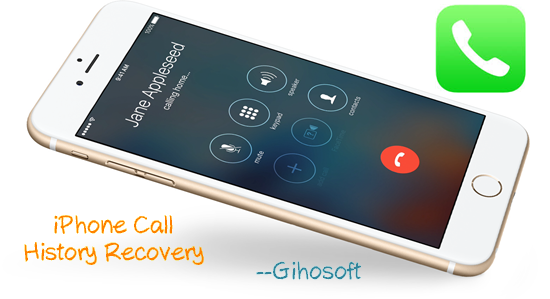 In addition, Gihosoft iPhone Call History Recovery software is a good choice to view call history in iCloud backup. Go to Settings > iCloud > Storage > Manage Storage > Backups on iPhone to make sure you have an iCloud backup, and check the date of your latest backup. 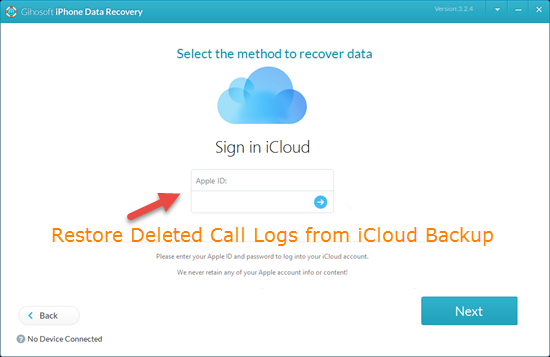 Launch the iPhone Call Log Recovery application and select “Call History”, next click on “View iCloud Backup”. Sign in to iCloud with your Apple ID and password, and then select your latest backup to download call log backup. 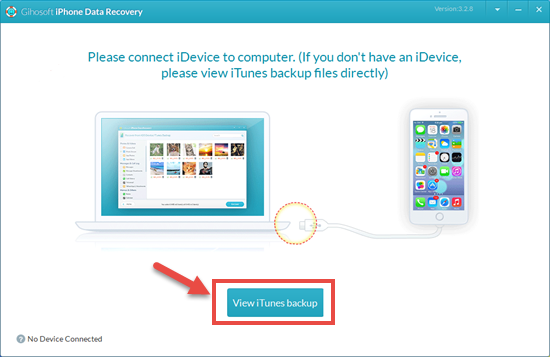 Extract and recover your deleted recent calls from iCloud backup. If you’re sure about the latest backup, you can restore call history from iCloud backup.